This new product, the Speeding Edge Digital Library, contains an extensive collection of highly relevant technical articles that provide more current information on design issues of concern. 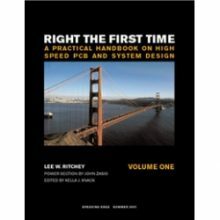 Provided on CD-ROM, these articles essentially comprise an addendum to our two books, “Right The First Time, Volumes 1 and 2.” Given the changes that have arisen since we published our two books, the Digital Library addresses many questions and issues of concern relative to Power Delivery and Differential Signaling. The Library has been developed in response to requests made during our training courses, consulting efforts and other frequently asked questions. 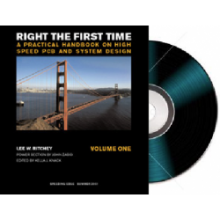 Many of the articles contained within the Speeding Edge Digital Library have been written by Speeding Edge founder and president, Lee Ritchey. Additional articles written by other experts in the industry as well as collateral from industry-leading suppliers are used with the permission of those entities. Note: The articles contained within this Digital Library are different than the technical articles that are listed on the Speeding Edge website in that they are comprised of advanced subjects that are extremely pertinent to today’s design challenges.